Niepoort is a small Dutch company, created and established in 1842 of Eduard Kebe and he took F.M. van de Niepoort as partner in 1847. When Kebe died in 1858 van der Niepoort was the sole owner and when he died in 1897 his son took over after entering the firm in 1873. Niepoort is managed by the fifth generation of the family since 1997, when Eduard Rudolph (Rolf) Niepoort retired and his son Dirk took over. Since 2005 Dirk’s sister Verena is also involved in the business. A speciality of Niepoort is a rare style, called Garrafeira, which requires the wine to be developed in casks, then glass gallon 'demi-johns', and finally being aged in bottle, which imparts some of the style of a Tawny but perhaps more akin to a lighter Vintage offering. Until some time ago Niepoort used to buy all its grapes from small wine growers. By the end of the 1980's this company, which did not have any Quinta for more than 140 years, bought three properties: Quinta de Nápoles, Quinta do Carril and Quinta do Passadouro. 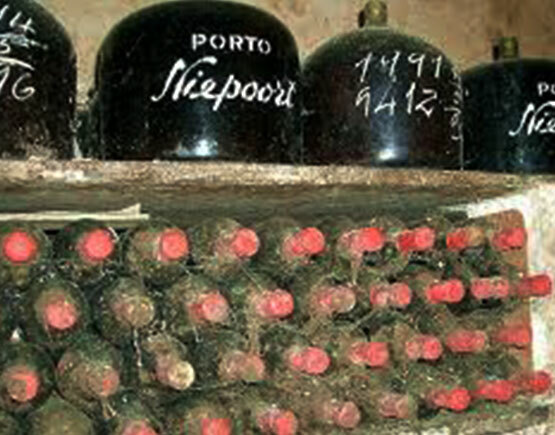 Passodoura supplied grapes to Niepoort until 2003, but after that Niepoort is no longer involved in the quinta. is situated south of the Douro River, at the right bank of the Tedo River, it is one of the oldest in the region. This property had belonged to the same family with this name for more than five hundred years. 1953 to 1961 Mackenzie & Co rented the quinta and in 1987 Niepoort bought it. It is from this quinta they produce Pisca and Bioma. Niepoort is a small Dutch company, created and established in 1842 of Eduard Kebe and he took F.M. van de Niepoort as a partner in 1847. When Kebe died in 1858, van der Niepoort was the sole owner and when he died in 1897 his son took over after entering the firm in 1873. The fifth generation of the family manages Niepoort since 1997 when Eduard Rudolph (Rolf) Niepoort retired and his son Dirk took over. Since 2005 Dirk’s sister Verena is also involved in the business. A specialty of Niepoort is a rare style, called Garrafeira, which requires the development process of the Port in casks, then glass gallon 'demi-johns,' and finally being aged in bottle, which imparts some of the styles of a Tawny but perhaps more akin to a lighter Vintage offering. Until some time ago Niepoort used to buy all its grapes from small wine growers. By the end of the 1980s this company, which did not have any Quinta for more than 140 years, bought three properties: Quinta de Nápoles, Quinta do Carril and Quinta do Passadouro. 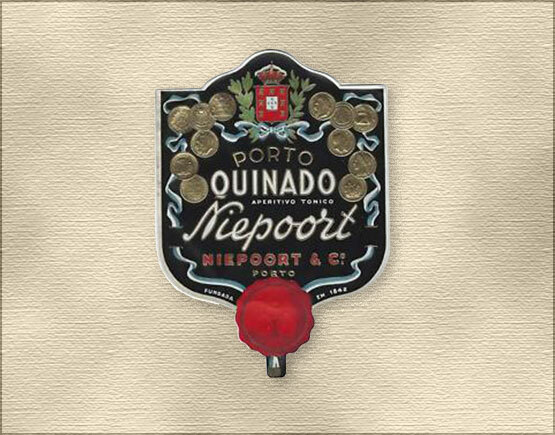 Passodoura supplied grapes to Niepoort until 2003, but after that Niepoort is no longer involved in the Quinta. 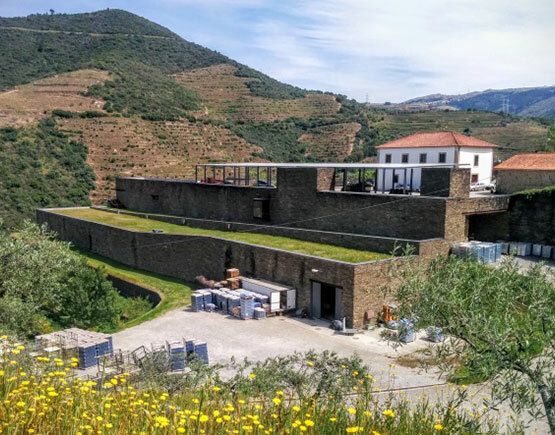 Quinta de Nápoles is situated south of the Douro River, at the right bank of the Tedo River and includes nearly 30 ha of vineyard, it is one of the oldest in the region. The vines are at an altitude of 180-250m, and the age varies between 18 and more than 70 years. This property had belonged to the same family with this name for more than five hundred years. 1953 to 1961 Mackenzie & Co rented the Quinta and in 1987 Niepoort bought it. It is from this Quinta they produce Pisca and Bioma.